This is the third in a series of blog posts featuring the fabulous sponsors of the 2017 Rhinebeck Trunk Show. 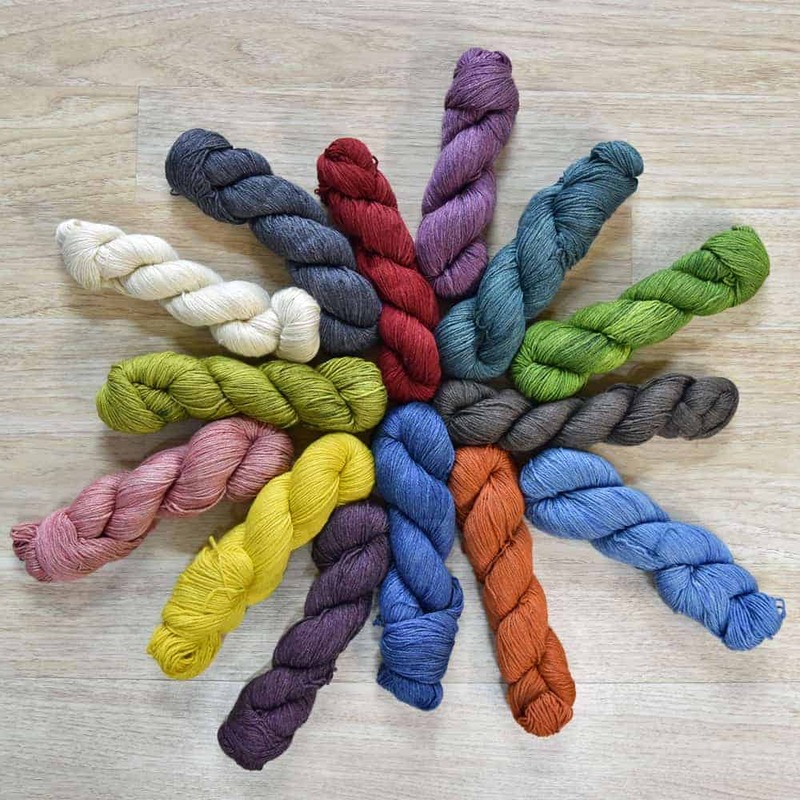 The Bijou Basin Ranch (BBR) Indie Dyer Series is our way of supporting the indie fiber community: we search out the best indie dyers we can find and ask them to put their colors on the best yarn blends around (ours… we’re biased!). Himalayan Summit (50/50 Yak/Superfine Merino) — Coming Soon! We let each dyer work from their own inspiration to create unique, one-of-a-kind colors on the blend of their choosing, and most select the color names as well. Several of these colors are limited edition, one-of-a-kind creations, but we also have a collection of semi-solid “house colors” which are always available, dyed for us by MJ Yarns on Lhasa Wilderness & Himalayan Trail, pictured above. Clockwise from top left: Toad Lily, Freckled Iris, Carol Peletier, BBR Signature, and Betty Confetti. 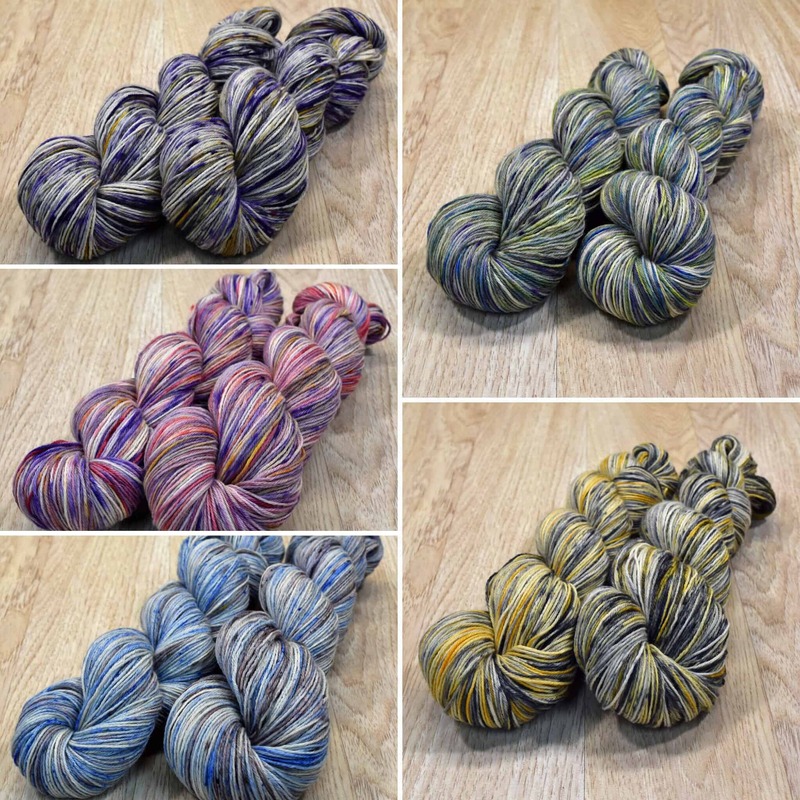 There are more exciting hand-dyed colors on their way to us, all of which will be available in our online store soon, and of course, in the BBR booth at Rhinebeck. See you there! This entry was posted in Rhinebeck trunk show, Sponsored post and tagged indies, limited, rhinebeck, rhinebeck trunk show, yarn.